Available solely in an exceedingly single normal size, the bangles are designed from base metal of brass that has been lined with a layer of small gold plating. 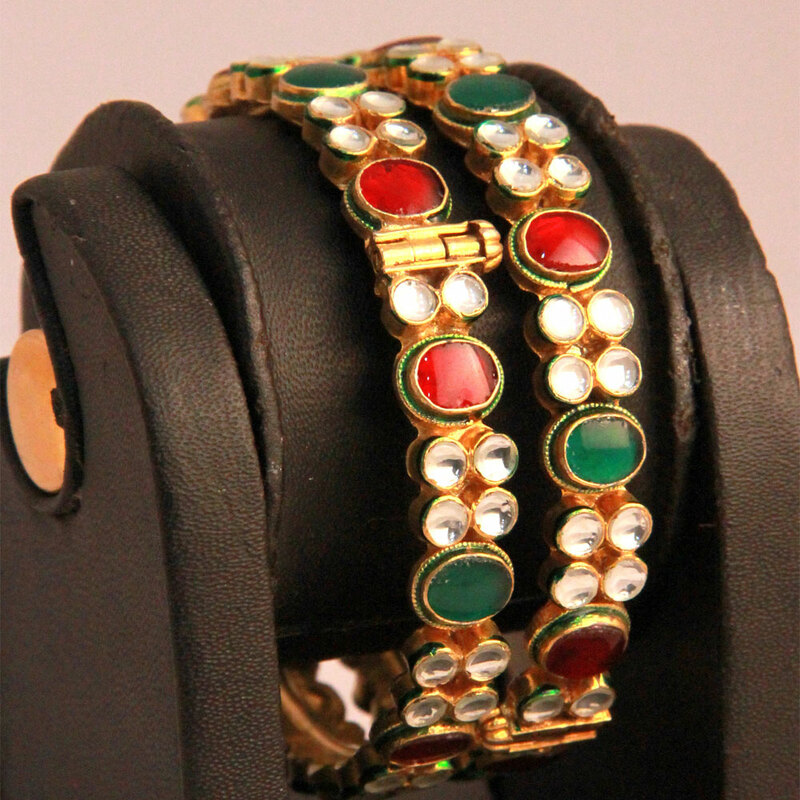 This pair of beautiful bangles decorated with red, green and white Kundan stones of circular shape, has an attractive look and appeal. 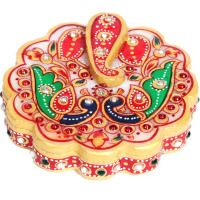 Available only in Read More..a single standard size, the bangles have been designed from base metal of brass that has been covered with a layer of micro gold plating. Show Less..